Who lost Fayyad? This is the question that historians, and Israelis, and Palestinians, will ask about the most recent spiral into nothingness of the search for the necessary peace. Salam Fayyad’s non-ideological and non-political pragmatism, his natural belief in reason, his stubborn practice of the art of institution-building, so that by the time a Palestinian state is declared the pieces of a state will be already in place and the Palestinians will have been rescued from the dangerous idea that they have nothing to lose—Fayyad is the man of whom all Israelis and Palestinians who are not maniacs have dreamed. When I visited Ramallah last year, I was stunned by the normalization—the old Zionist term for the attainment of national dignity, and of an end to the anomalous existence of exiles and pariahs and refugees, by means of self-reliance and a preference for practicality over the satisfactions of symbolism—that has taken place. Fool that I was, I was hopeful. It now appears that Fayyad’s, and Fayyadism’s, day is past. He may get a post in the new Palestinian government, he may not. The West admires him too much for his bosses to dispense with him entirely. But the thrill of his approach is fading. So who lost Fayyad? There are two answers. The first is Mahmoud Abbas. The second is Benjamin Netanyahu. I say Abbas, because his pursuit of a reconciliation with Hamas has damaged this attempt at the normalization of his people. He reverted to the catastrophic old error of Arafat, in choosing the unity of the Palestinian national movement over the attainment of a Palestinian state. It is not at all clear that he will attain even unity. The Fatah-Hamas accord may be only a pause in the Palestinian civil war. Hamas continues to commit episodic crimes against Israel—and by certain constructions of international law, against humanity—by firing rockets into cities and towns; its grief at the death of Osama bin Laden is only the latest evidence of its jihadist mentality; and its willingness to enter into an accord with Fatah owes more to the sudden fragility of its filthy sponsor in Damascus than to any critical reflection upon the misery it has brought to Gaza. In accepting Hamas, Abbas has aligned himself with the Arab enemies of the Arab spring. I do not doubt that he was driven to this mistake in part by a despair of Netanyahu—see the maledictions below. But so what? For the leaders of peoples in search of self-determination, it is forbidden to despair. Abbas has played into the hands of the Israeli maximalists. If he believes that a state of Palestine—a state, not a declaration of a state—can be brought into being by the General Assembly, then he is reverting to Arafat’s other delusion, which is that the fulfillment of Palestinian aspirations will be the work of others, a gift of the international community. I say Netanyahu, because I do not believe that he wants peace with the Palestinians more than he wants his political base. Begin, Rabin, Sharon: the peacemakers of Israel were all men of war. They underwent personal transformations, and thereby established their historical magnitude. I see no evidence of such an interior development in Netanyahu. He says that he cannot conduct a peace process with Fatah when it is allied with Hamas, and I see his point; but he has played into the hands of the Palestinian maximalists. Anyway, he did not conduct a peace process with Fatah when it was not allied with Hamas. He says that the Arab spring is a source of anxiety for Israel, as surely it is; but he failed to bestir himself during the Arab winter. He says that Iran’s nuclear ambitions pose a dire threat to Israel, and he is right; but he is changing the subject. (Stuxnet is not a foreign policy.) He says that he must proceed cautiously because of the weakening of American influence in the Middle East; but he contributed to this weakening, when he refused to accede to the American request that he put a stop to settlements after the American president egregiously staked our regional prestige upon it. Strategically speaking, was it really too much to ask? Netanyahu chose Ariel over America. As a matter of declaratory policy, he has committed himself to a two-state solution, but he has not acted significantly on that commitment. Instead he watches passively as the world changes around him, and confirms himself in his sense of his rightness, and reads the polls, and evasively waits for the political season in the United States to begin. His wait is almost over. He will soon bask in the immunity from criticism and pressure that Israeli leaders enjoy during our campaigns. In this way he will achieve the objective of his Palestinian policy, which is stasis. In a sea of historical change, Netanyahu stands for the status quo. To be sure, history must not be idolized: it can lead in calamitous directions. But if history must sometimes be defied, it must never be denied. All realists know this, and Netanyahu prides himself upon his realism. 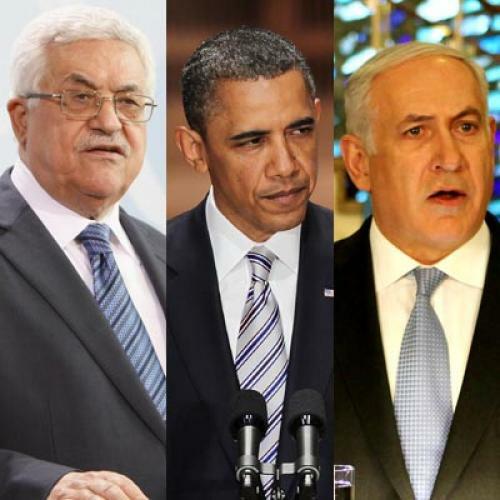 Yet he offers nothing that his interlocutors—I mean Palestinians, not Americans—can accept. In his patience with the Palestinian problem, he acts as if time is on Israel’s side. The other night I had occasion to re-read Chaim Weizmann’s great tearful speech to the Twentieth Zionist Congress, in which he argued that the Jews must accept the British proposal to partition Palestine. “Does it offer a basis for a genuine growth of Jewish life?” he asked. And does it deal with the “danger to ourselves”? He answered both questions affirmatively. And then he declared: “The choice lies between a Jewish minority in the whole of Palestine or a compact Jewish State in a part.” The year was 1937, a harsh and sober time, when the Arab Revolt, which included what we would now call Islamist elements, was raging. Yet Weizmann was imploring his brethren to compromise, to renounce the ideal, or the illusion, of the whole thing. The dilemma that Weizmann described is Netanyahu’s dilemma. Will he make Weizmann’s choice? Partition is still the only solution, on high grounds and low. Not long ago, in the Olmert-Abbas talks, the solution was uncannily close, and genuine understandings were reached also earlier, at Camp David and Taba. But the gulf always comes back, the chasm always returns. Some years ago I stood on Mount Nebo, in Jordan, and looked across the sunken desert at the promised land, and thought: this is where the question of how to get from here to there was born. I am not a prophet, but when all the analysis of this conflict is done, I am left with that Nebo feeling. Leon Wieseltier is the literary editor of The New Republic. This article originally ran in the June 9, 2011, issue of the magazine.